Content management systems (CMSs) are software or computer applications that allow users to manage and publish content and control workflow. They eliminate the need for extensive, in-depth knowledge of advanced coding, making it easier to create a web site. Many CMSs require costly licenses. WordPress doesn’t. Not only is WordPress open-source and free to use, it is also intuitive enough that non-developers can easily edit and make changes on their own. This means that every change to the site does not have to go through a developer, which will save your client money and time down the line. While it is true that WordPress used to be primarily a blogging platform, it is now used for an almost unlimited amount of varied purposes. WordPress has a plethora of free themes, plug-ins, and add-ons which can be used to greatly enhance any type of site. WordPress is now the most popular content management system online. 17% of web sites use WordPress, and with its popularity comes a greater amount of resources and support available to users. WordPress is readily indexed by Google. As well, the easy customization available with it makes it easy to fine-tune posts for SEO. Not to mention that WordPress has SEO plugins that can be used to easily boost your site to the top of the ranks. WordPress is responsive, which means it is designed to work across a wide range of platforms. As mobile devices are now used more frequently to access the Internet than desktops, a responsive CMS is a must for your client. As well, responsive content management systems work better with SEO. WordPress has their own security team that will ensure your client’s site is safe. As well, because the WordPress community is so large, support is readily available for your client if they ever hit a speed bump. WordPress uses automation to make everything easier. There are WordPress CMS plug-ins that can be used for SEO, social networking, and other needs your client may have. Automation will let their CMS do some of the work for them. Not only does WordPress work with both mobile and desktop platforms, but it also works with any major web browser and follows recommendations and best practices set forth by all the major search engines. This means that your client will not have to waste money reworking their site for different browsers, nor will they have to worry about their site becoming lost in search engine rankings. 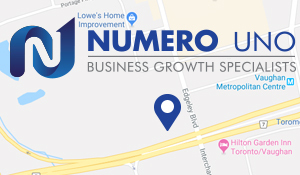 Numero Uno Web Solutions is a provider of search engine optimization, content marketing, and mobile optimization solutions to start-ups and small companies from all industries and fields. We stay on the pulse of industry changes and adapt our practices to produce quality SEO and mobile optimization plans to fuel the growth of businesses across communities. Click here to learn more about marketing techniques and how we can help improve your search profile across all platforms.